Stroke Recovery Timeline: How Long Does It Take to Recover? Stroke Recovery Timeline: How Long Does It Take to Recover from Stroke? How long does it take to recover from stroke? To help answer this popular question, we created a stroke recovery timeline using clinical studies and first-hand stories from other stroke survivors. It covers everything from the first 3 months to years after stroke. 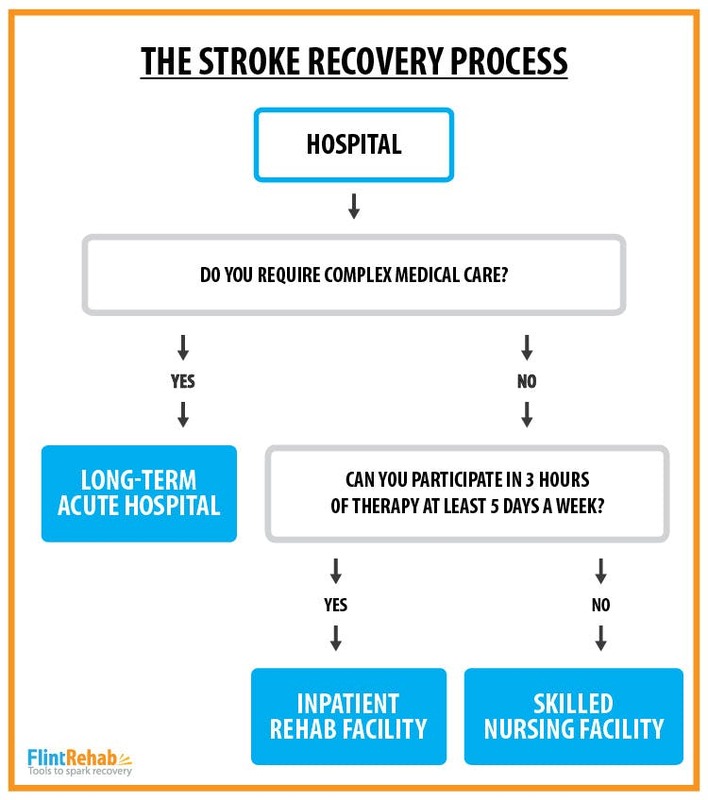 Your recovery may not follow this exactly, but it will give you an idea of what the stroke recovery process will be like. A stroke occurs when an artery in the brain becomes either clogged or ruptured, which deprives the brain of oxygen-rich blood. This is a medical emergency and you need to be rushed to the emergency room for treatment. When treatment is administered quickly, the outcomes are usually better. Understand the types of stroke and symptoms to help others receive swift treatment and save a life! Once the stroke has been resolved, stroke rehabilitation begins! 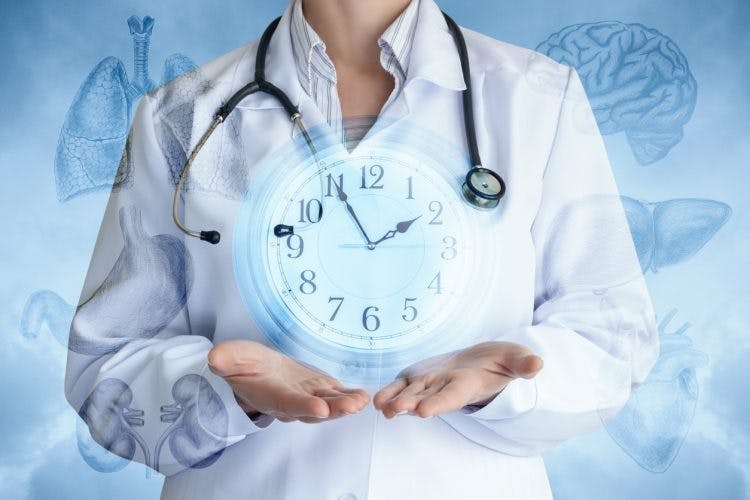 This happens quickly because your medical team wants to take advantage of the heightened state of plasticity that your brain is in. You will see the fastest improvements immediately after injury because the brain is rapidly forming new neural connections to recover from the damage. Your medical team will try their best to start rehabilitation within the first week – usually from your hospital bed. 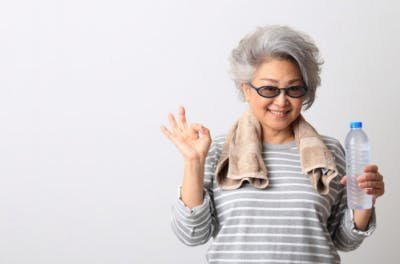 During this early stage, rehabilitation methods are mostly passive and emphasize prevention of other complications like contractures, pressure ulcers, and muscle atrophy. The severity and location of the stroke will determine how quickly you get discharged from the hospital. Those who suffered minor strokes are often discharged within the first week. 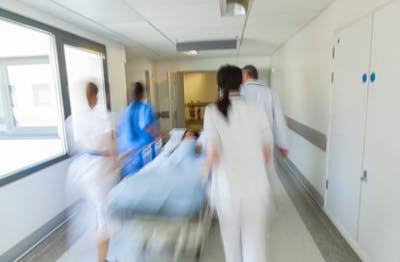 Massive stroke survivors may take longer to get discharged as they require more intensive care. If stroke side effects are severe and patients cannot survive independently (i.e. they require a ventilator or feeding tube), they may be transferred to an acute care hospital. Most patients will achieve 50% recovery during the first 2 weeks. This window of opportunity is why most PTs and OTs work with patients aggressively during the early stages of stroke rehabilitation. Your physical therapist will guide you through various stroke exercises to improve your mobility. Occupational therapists will help you relearn the activities of daily living, like getting dressed and toileting. After the first 3 months of stroke recovery, the brain’s plasticity starts to slow down. As a result, your improvements may slow down as well. This is called the plateau effect after stroke – and you can overcome the slow-down by adding variety to your rehabilitation regimen. Unfortunately, most inpatient rehab facilities will discharge you once the plateau has taken effect. This is NOT a sign that recovery is over. Rather, it simply means that you need to spice up your physical therapy regimen at home. Once you’re discharged and sent home, your recovery is in your hands. If you’re proactive about home rehabilitation, you will experience a robust recovery from stroke. 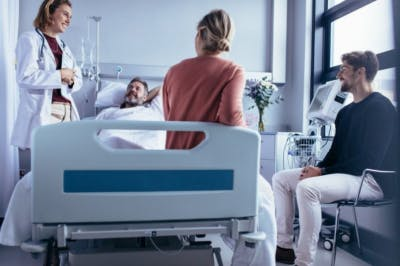 Once you get discharged from inpatient rehab, you will begin outpatient rehab, where you travel to the clinic for physical and occupational therapy and then go home. During these visits, you will work alongside trained therapists to continue rehabilitating your stroke side effects. At this point in your stroke recovery timeline, developing an effective stroke rehabilitation regimen at home is critical to your success. If you struggle with mobility impairments after stroke, try doing daily stroke exercises at home. This will keep your progress moving in between outpatient physical therapy as well. 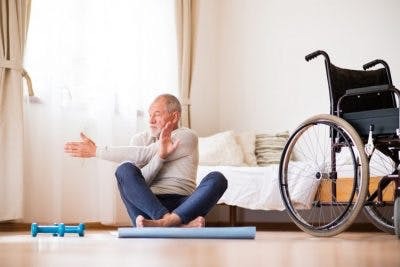 Some patients see greater improvement by supplementing their weekly PT/OT visits with regular exercise or FitMi home therapy. Your manner of walking (also known as your gait) is one of the biggest obstacles that stroke survivors must overcome. About 65-85% of stroke patients will learn to walk independently after 6 months of rehabilitation. Those recovering from massive stroke may take longer to recover chronic gait abnormalities. 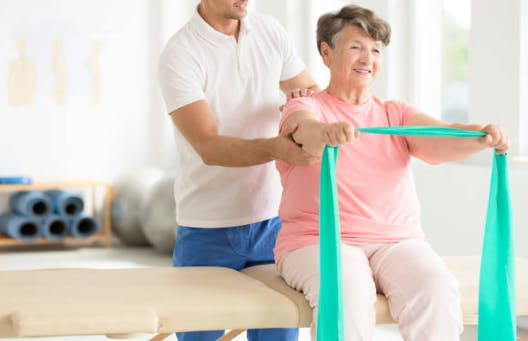 Some of the best methods for gait rehabilitation after stroke are strength training, treadmill training, and functional electrical stimulation. The one year profile during stroke recovery really starts to vary from patient to patient. Those who sustained minor strokes may be fully recovered after 1 year while massive stroke survivors may be in the middle of rehabilitation. If you suffer from language difficulties like aphasia after stroke, try using speech therapy apps at home to keep improving. They can boost your progress in between outpatient therapy visits. You can also work with a speech-language pathologist who is highly trained in rehabilitation from speech problems after stroke. Often, hands and feet are the last to improve after stroke. These last phases of the stroke recovery timeline produce slow results unless you invest in home rehab exercise tools. 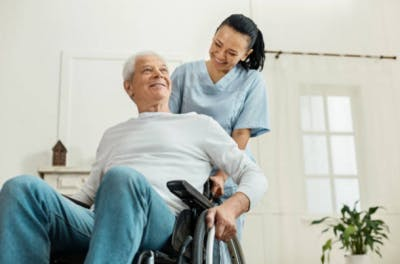 Massive stroke survivors who suffer from post-stroke paralysis may also start to see more improvements in their mobility at this stage. Although recovery may have slowed down at this point, it’s not over! Usually, home exercise tools can help you see results. For example, Flint Rehab’s MusicGlove has helped patients recover hand function as far as 24-years post stroke! Which proves that there’s always hope. You just need to put in the work. Most stroke survivors will achieve independence at the 10-year mark. However, some patients may have neglected rehabilitation during the early stages. When recovery has been neglected, there is still hope, even a decade after stroke. So although the brain is not in a heightened state of plasticity anymore – recovery is still possible at any age and any stage after stroke. If you neglected rehabilitation, just pick up where you left off. When you start to stimulate your brain and put in the work, your brain will respond. And if you ever start to lose faith, just read inspiring stroke recovery stories. There are many stroke survivors who successfully recover decades after their stroke. After a couple decades, it can be hard to imagine that recovery is still possible, but it is! We have seen it with our very own eyes. Stroke patients who neglected hand rehabilitation for decades can begin hand therapy exercises and see results. Even two decades after stroke, recovery is possible. Seriously – we have seen stroke patients improve hand function 20+ years after their stroke by using our MusicGlove. It just goes to show: when you put in the effort, the brain will respond. Focus on massed practice to speed up neuroplasticity. The more you practice something, the stronger the new connections in your brain will become. Repetition is arguably the most important ingredient in a solid stroke recovery regimen. No matter how long it has been since your stroke, there is always hope for recovery. Older What’s the Difference Between Hemiplegia vs Hemiparesis after Stroke?